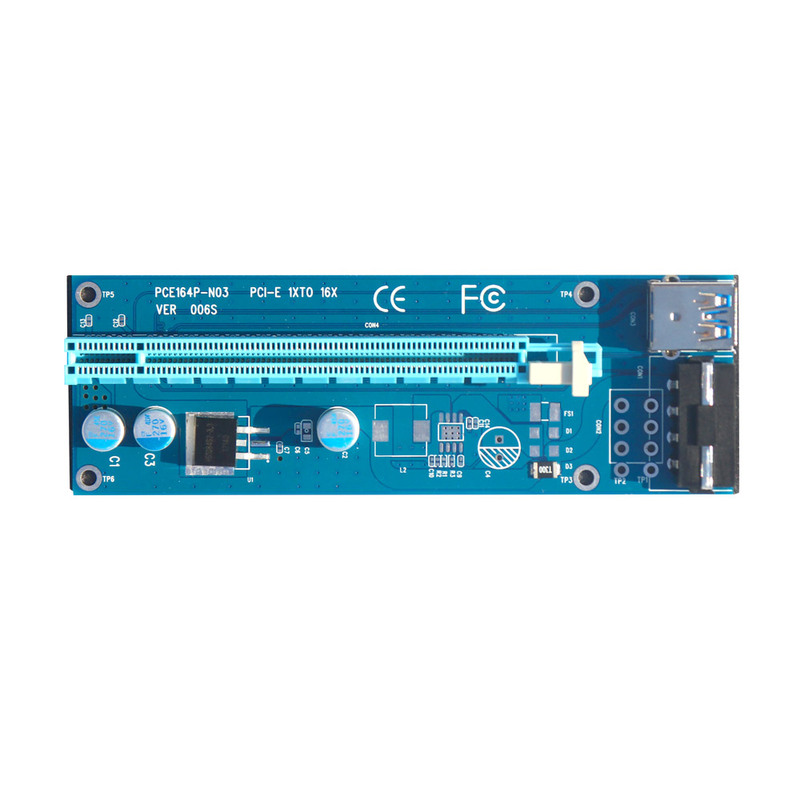 PCI-08 | KWI Technology Inc.
USB 3.0 PCI-E 1x to 16x riser card. Compatible with 1x, 4x, 8x, 16x PCI-E slots. Bit Coin mining for running multiple GPUs. Reduce motherboard load by reducing power supply. 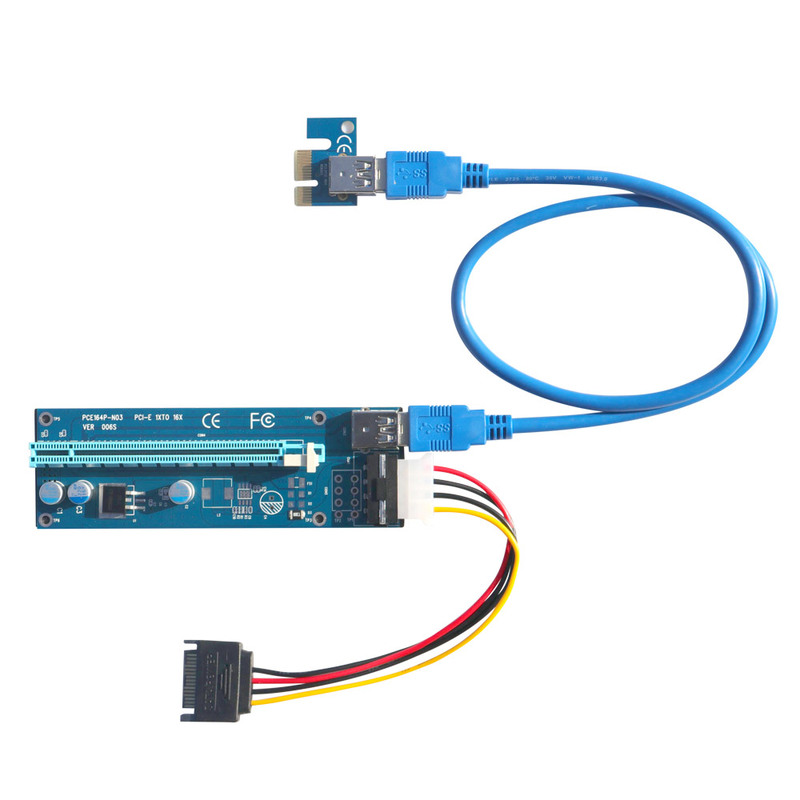 Extender cable 4 pin with SATA power cable.